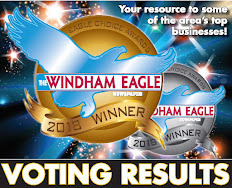 Arctic Spirits will provide a unique fundraising event on Saturday, February 25 at Buck’s Naked BBQ, 4 Turning Leaf Drive in Windham from 5:00 p.m. to 10:00 p.m. The fundraiser, a first for Arctic Spirits and the Windham area, will be an ice bar event with the proceeds going to Camp Sunshine, located in Casco. Camp Sunshine provides a year-round opportunity for children with life-threatening illnesses to spend a week at the camp. This camp provides respite, recreation and support to children and their families from all over the country at no cost to them. Emily Wainwright, one of the founders of Arctic Spirits, stated that they began raising funds for Camp Sunshine about two years ago. The first fundraiser was a wine and beer tasting event and it has slowly morphed into the Ice Bar event. Light appetizers and all types of beverages will be served, along with entertainment by DJ Nate Hicks, a raffle and silent auction inside! Arctic Spirits is one of the only ice bar events in the Sebago Lakes Region. Tickets are available online at: www.eventbrite.com by typing the key words “Arctic Spirits” into the search bar on the homepage. The cost to purchase the tickets online prior to the event is: $25 per person or $40 per couple. Tickets include one free drink ticket good for a mixed drink, beer or wine. Tickets may also be purchased the day of the event for $30 per person or $50 per couple. 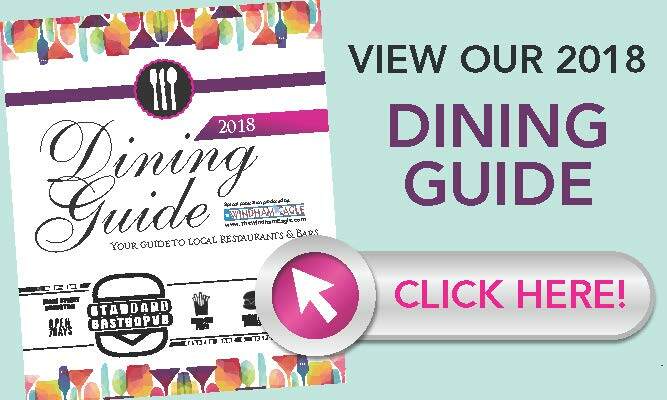 Wainwright would like to remind area businesses, that sponsorship opportunities are still available starting at only $100. She is also still actively taking in donations for the silent auction, raffle, and door prize give-a-ways. For donations or sponsorship, contact Wainwright at: Emily@metayerfamilyeyecare.com. One year ago, the furthest thing from Michelle Patch’s mind was to become an author. It was the heartbreak of losing a beloved family pet, 15-year old Rollie, her Boston terrier that compelled Patch to write his story. It became therapy to overcome grief. Based on real events, “The Boston Terrier Who Thought He Was a Loon”, illustrated by Maine artist Thomas Block, and tells the warm and amusing tale of Rollie, who lives with his human family on Thomas Pond in Raymond. Rollie is curious and playful and discovers a new friend along the shore, where he spends most of his summer days. The newcomer, he discovers, is a lot like him: It’s black and white, swims, and sings a greeting. As the season progresses and wanes, Rollie dives after tennis balls, rides a paddle board and scans the waves in search of his new feathered friends - the loons. He watches them dive, feed on fish and interprets their call as a greeting, which he returns with a happy bark. One day, Rollie’s friends disappear. Block captures the beauty of the changing seasons on the pond. Rollie watches and waits. Rollie’s story charms the reader with its subtle, yet powerful themes of friendship, sense-of-place and the delight and pleasure of family pets. Popular and successful children’s books exhibit characteristics of strong characters, a relatable story, wholesome messages and striking pictures. 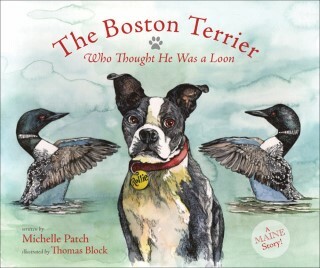 “The Boston Terrier Who Thought He Was a Loon”, has all of them and is recommended for kids of all ages. New England embraces a romantic fascination with its covered bridges. Once numbering in the hundreds, they were in the 19th century, a practical means of conveyance. By the early 20th century, suburbanization and practicality dictated that many be replaced by concrete and steel. 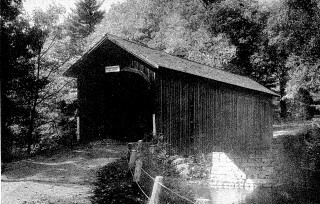 In the 1850s, more than 150 covered bridges dotted the Maine countryside. Today, only nine remain – two that had been destroyed, were replaced by exact replicas. The Windham/Gorham structure over the Presumpscot River was one of them. Historians disagree on the age of the bridge, as is evident in the historical photo/essay book series: “Images of America”. In “Windham: Images of American”, (Bell) states the original bridge was built in 1767. The “Images” series, “Gorham” (Fogg) records that the first construction occurred in 1763. 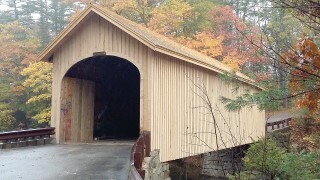 And the “Images, Maine’s Covered Bridges”, (Conwill) maintains the bridge dates to 1864. Almost certainly, there was a wooden span of some kind connecting the two towns during their early development in the mid to late 1700s. The disparity may lie in whether the bridge was closed-in or open. Earlier, open bridges may have been replaced with closed structures. Both types were common. A few, known as boxed pony trussed, had sides, but no canopy. Babb’s Bridge can be awarded special mention however, for several distinguishing characteristics. Most historians agree it is the oldest of Maine’s covered bridges, and the shortest - with a span of just 66 feet. It is also the only queen-post truss covered bridge in the state. Truss systems are framing styles, usually adapted to the requirements of span and usage. One question frequently posed by visitors and schoolchildren is, “Why were these bridges covered?” Some speculate it was to provide shade and protection from the weather for the weary traveler. Others maintain it was to keep snow clear of the bridge. Neither is correct. In fact, early town reports record expenditures to: “snow the bridge”. That is, they hired an individual who would shovel snow onto the bridge for the accommodation of sleighs - the principal form of transportation “back in the day.” Early bridges were, in fact, roofed to prevent the decay of their wood construction. Even covered, dangers persisted. The most common were wind, waves and wildfire. In 1767, what was then termed a hurricane, but more likely was a microburst or a tornado given the early descriptions, destroyed “…all but the sturdy oaks”, in ¾ mile wide swath from Gorham, over Duck Pond (Highland Lake) to Falmouth, and sending almost the whole bridge downstream. Rebuilt, it became known as Hurricane Bridge. Floods upended the bridge on several occasions during the 1800s. It took the name Babb’s Bridge around 1880 after a Gorham family who lived nearby. In modern times, and still within vivid memory of many, Babb’s Bridge burned at the hands of arsonists in 1973. Residents and members of the Windham and Gorham Historical Societies teamed with the Maine Department of Transportation to engineer and build an exact replica, which was dedicated in conjunction with the nation’s bicentennial in July of 1976. Today, the most recent threat to the historic bridge occurred over a two-year period in 2015 -2016. Vandals, intent on high-jumping off the structure into the water, removed side boards and cut holes through the roof. The bridge’s secluded location hindered adequate security. In the early fall of 2016, following concerns expressed by local residents, the Maine DOT commissioned a nearly total make-over of the bridge at a cost of over $160,000 - once again, respecting its original design. State highway officials now say, that while they will continue to maintain the bridge, lack of manpower and funds make them reluctant to respond to fixes that result from vandalism. 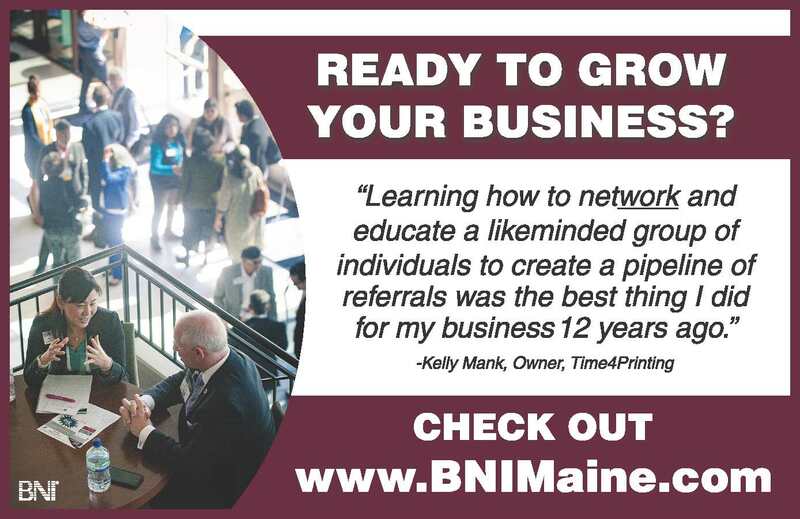 Windham resident Gary Plummer has begun assembling local citizens and state legislators to form a, Friends of Babb’s Bridge Group, which will be aimed at providing increased security and heightened awareness. “Babb’s Bridge is now in great condition,” says Plummer. He closely monitored the recent work and said it included cementing stone blocks that make up the bridge abutment. Water had collected in pockets between the stones and the freeze-thaw cycle had caused the blocks to move. The roof was stripped and replaced with rough cut boards and plywood, then topped with cedar shingles. Restoration was also completed on the sides and entrances. It was just six years ago that Al Lamanda, a resident of Little Sebago Lake, decided to do what his high school teachers told him he did best: Write. Since late in 2010, Lamanda, who has successfully published 21 novels and two screenplays, with a third one on the way, just returned from Hollywood and a Red Carpet Event. His second screenplay, “American Violence”, impressed Hollywood director, Timothy Woodward, Jr. so much that it has been turned into a film of the same name. The evening began with the arrival of Pare followed by Woodward and the rest of the actors and producers. Once the initial paparazzi fanfare was completed, the film and Lamanda were introduced and the first screening of “American Violence” commenced. As with all Hollywood film screenings, an after-screening party occurred later in the evening. Here, Lamanda got the opportunity to meet and speak to the producers, actors and actresses including Richards. During his conversations with various producers and directors, Lamanda was asked to write another screenplay for a film consideration and that screenplay is in the process. 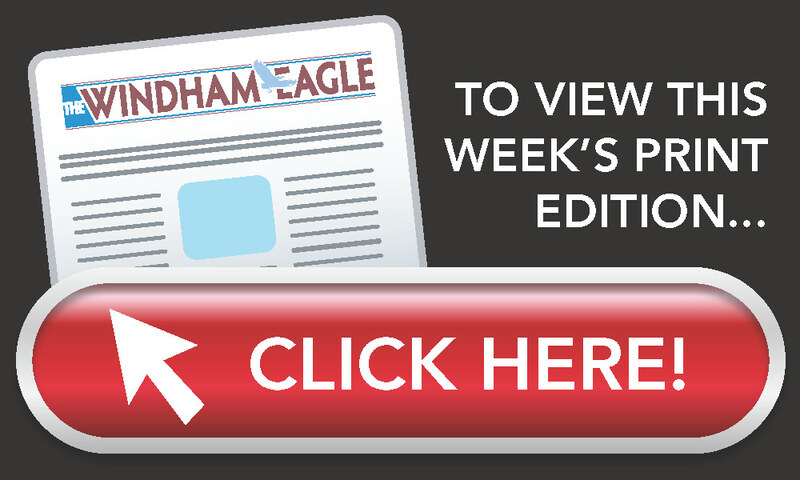 Because he was not traditionally trained as a screenwriter, he learned everything he knew from a book he checked out of the Windham Public Library. Nominated for Edgar and Nero awards, Lamanda is working on his next screen play based upon his novel, “Sunset.” He will also be promoting three new books due to be published by the end of this year. Initially told he could not be a screen writer because he did not go to school to learn how to do so, he did it anyway. He was also told he should have an author’s website to be a success. For those who wish to follow his blog, you may be disappointed. “I want to focus on the things I enjoy. Creating and maintaining a website takes away the time I want to spend on writing,” Lamanda explained. He also does very little public speaking. “American Violence” will be in theaters until March 4th, 2017. At that point, the film will be available on DVD, Netflix and at Amazon.com.